This antique Victorian era black mesh net silk ribbon stripe gown bodice skirt train dress dates from 1900. 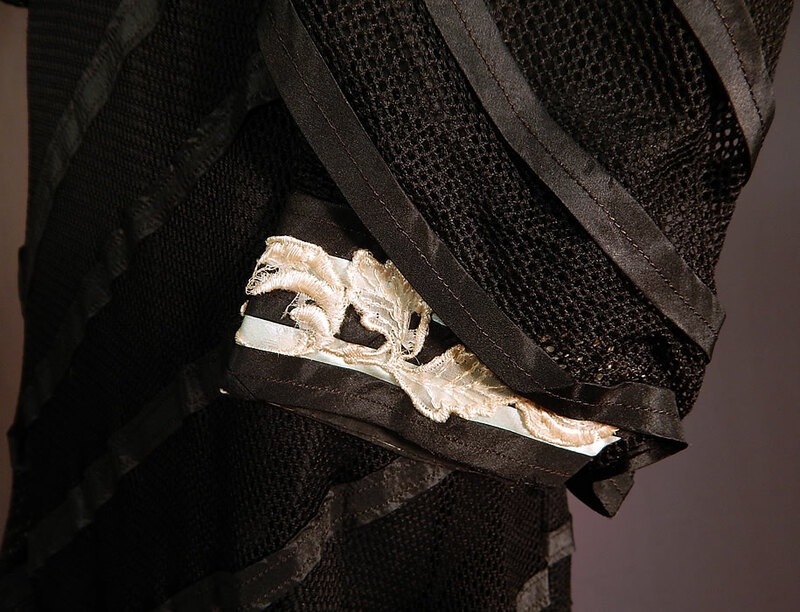 It is made of a sheer black mesh net fabric, with black silk stripe decorative trim appliqué accents. There is blue chenille embroidered tiny crosses on the yoke, a blue silk ribbon, white lace appliqué trim collar and cuffs. 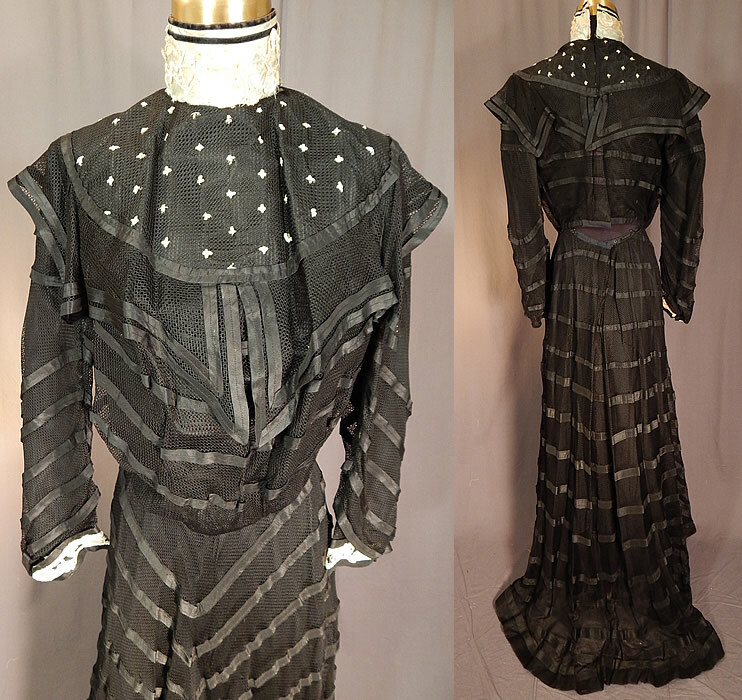 This magnificent gown two piece dress has a pouter pigeon front bodice blouse top with a high neck collar, layered mesh net overlay on the shoulders, long full sleeves, hook closures down the back and is lined is fully lined with stays boning inside. 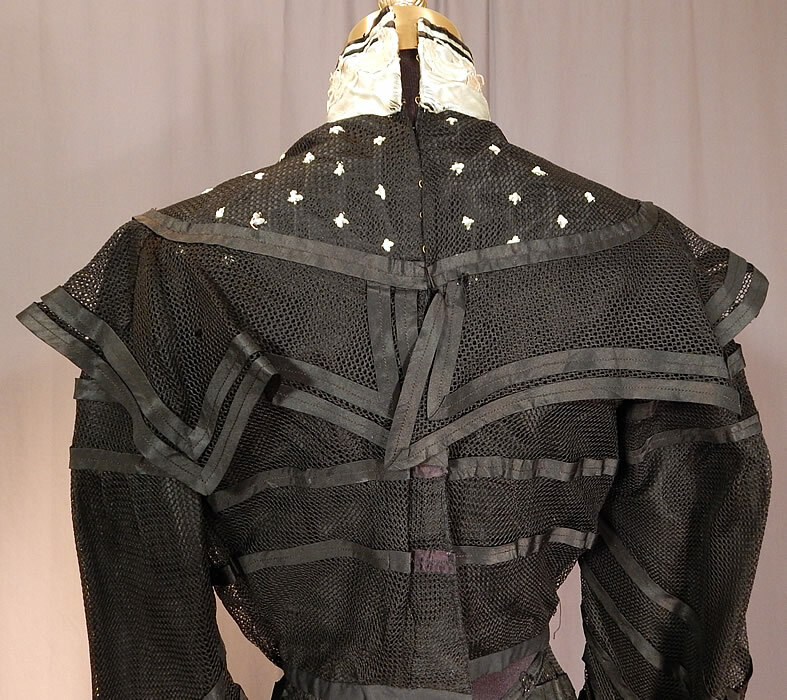 The bodice measures 17 inches long, with a 32 inch bust, 26 inch waist, 21 inch long sleeves and 12 inch neck. 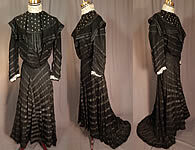 There is a matching fabric striped skirt, with slight train back, hook closures on the back waist and is fully lined with a black cotton petticoat sewn inside. The skirt measures 37 inches long in the front, 52 inches long in the back, with a 22 inch waist. 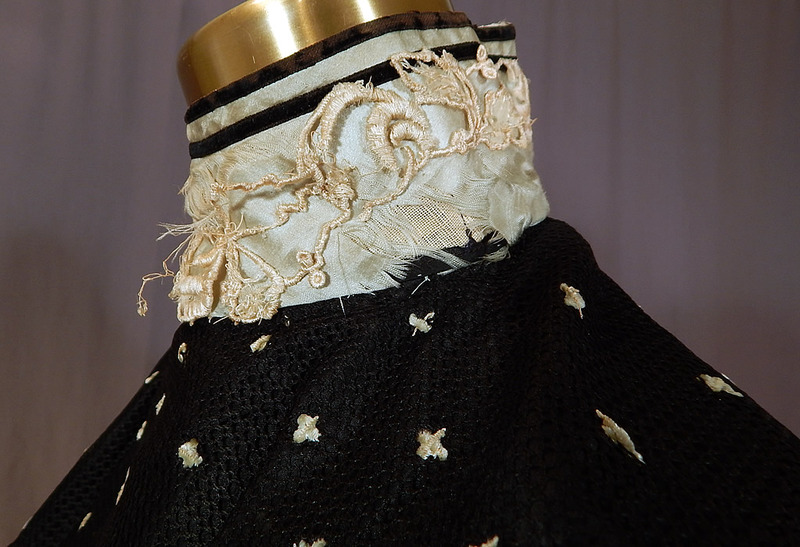 It is in good condition, with only some fraying of the blue silk ribbon, white lace appliqué trim on the collar, cuffs and a small hole in the net on the back top (see close-ups). 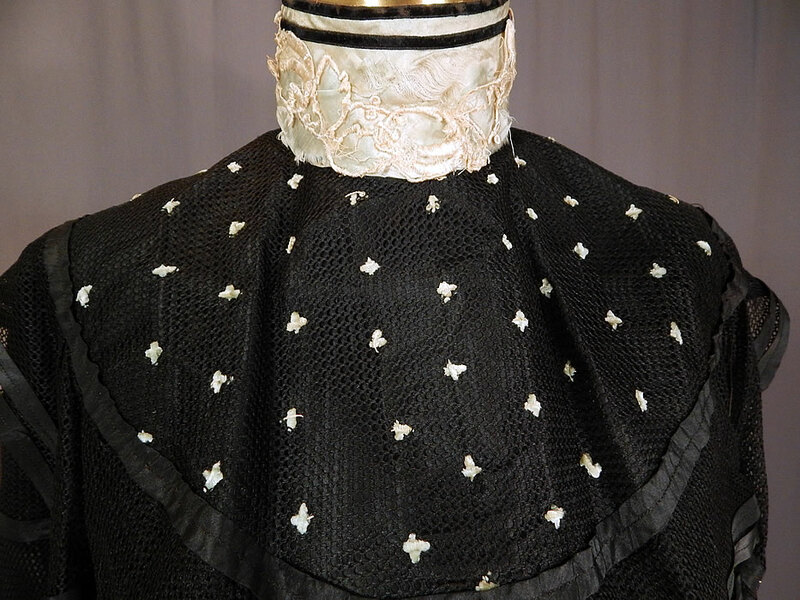 This is truly a wonderful piece of antique Victoriana wearable art!